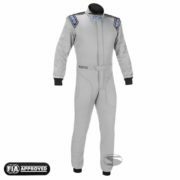 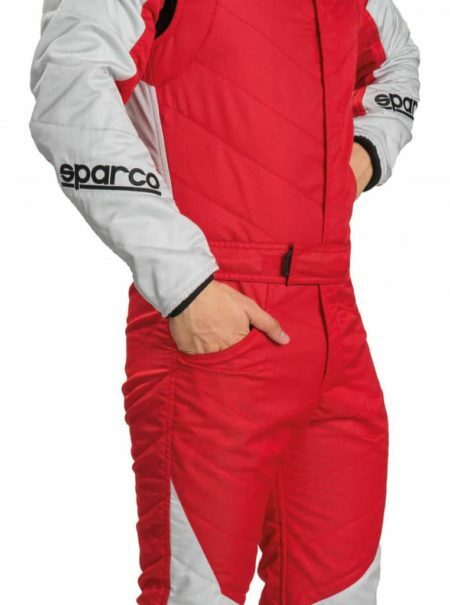 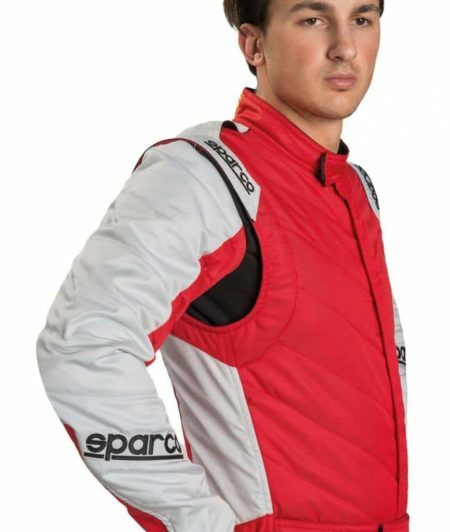 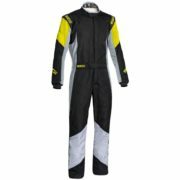 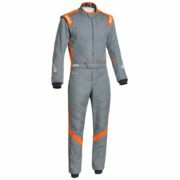 The Sparco Energy RS-5 fireproof racing overall is a race suit that offers soft, breathable materials and with pre-formed sleeves, an ergonomic fit. 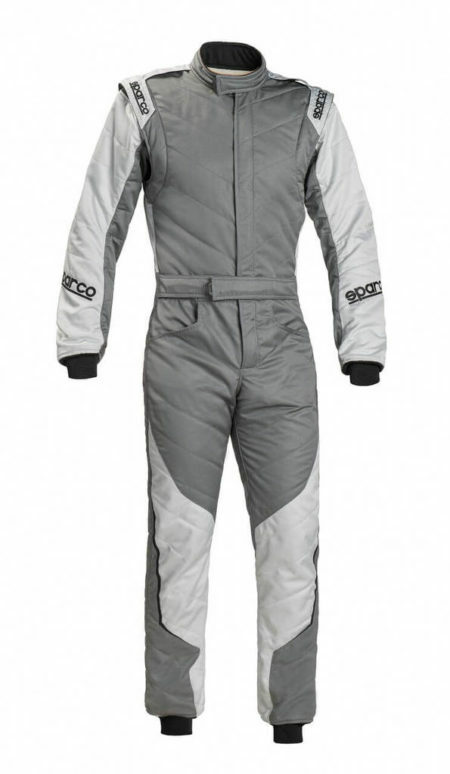 The suit also includes a stretch panel on the lower back to allow full movement by the driver when in the cockpit. 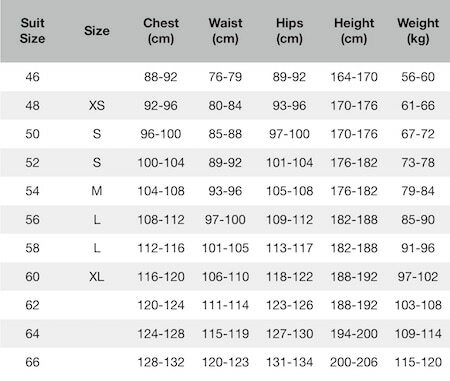 The suit features flat shoulder straps to allow comfortable use of a HANS device.